This past weekend I attended the Fashion High Tea 2015 at the Zen Garden ( which you can read here ) and as always its full of class and style not forgetting for a lovely cause as well. I didn't know what to wear in the beginning but I wanted a look that was fun and colourful since the event was starting at 2pm meaning the sun would be on our eyes the whole period. I have grown to love the sailors looks and with that I decided to go for a blazer in that style. 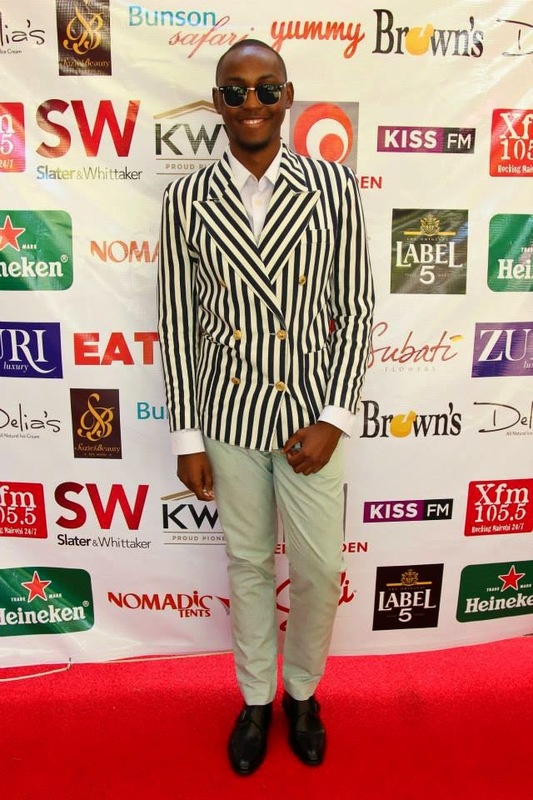 I wore a vertical white and black double breast striped blazer which I matched with a white long sleeved shirt, soft lime green pants from FARAH ,Black framed wayfarers and Black Derby shoes with a buckle from Jumia Kenya .If you like the shoes don't forget to purchase it HERE. Fashion High Tea is one of the most anticipated and graced event in Nairobi and attending it each year makes me happy and humbled. Till the next post have a great week ahead :)! !